Noam Chomsky has written some 30 books, he is one of the most-quoted authors on Earth, The New York Times calls him �arguably the most important intellectual alive� � yet most people have no idea who he is or what he�s about. 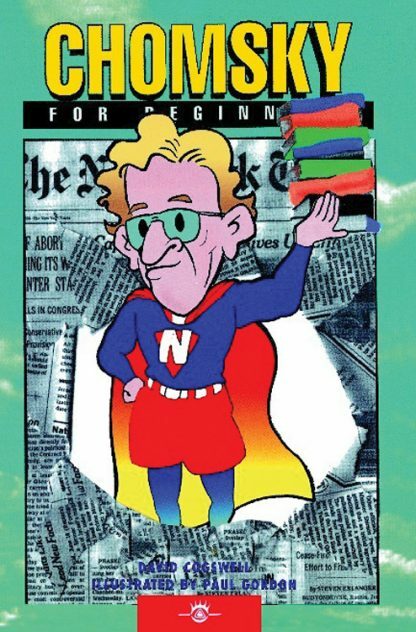 Chomsky For Beginners tells you what he�s about: Chomsky is known for his work in two distinct areas � Linguistics and... �Gadflying.� (�Gadfly,� the word applied to Socrates, comes closest to the constant social irritant that Chomsky has become.) It is Chomsky�s work as Political Gadfly and Media Critic that has given passion and hope to the general public � and alienated the Major Media � which is, of course, why you don�t know more about him. Chomsky�s message is very simple: Huge corporations run our country, the world, both political parties, and Major Media. (You suspected it; Chomsky proves it.) If enough people open their minds to what he has to say, the whole gingerbread fantasy we�ve been fed about America might turn into a real democracy.